Shannon had training and education at the Aveda Institute and Minnesota School of Cosmetology. She graduated in 2013 and completed her management license in 2015. 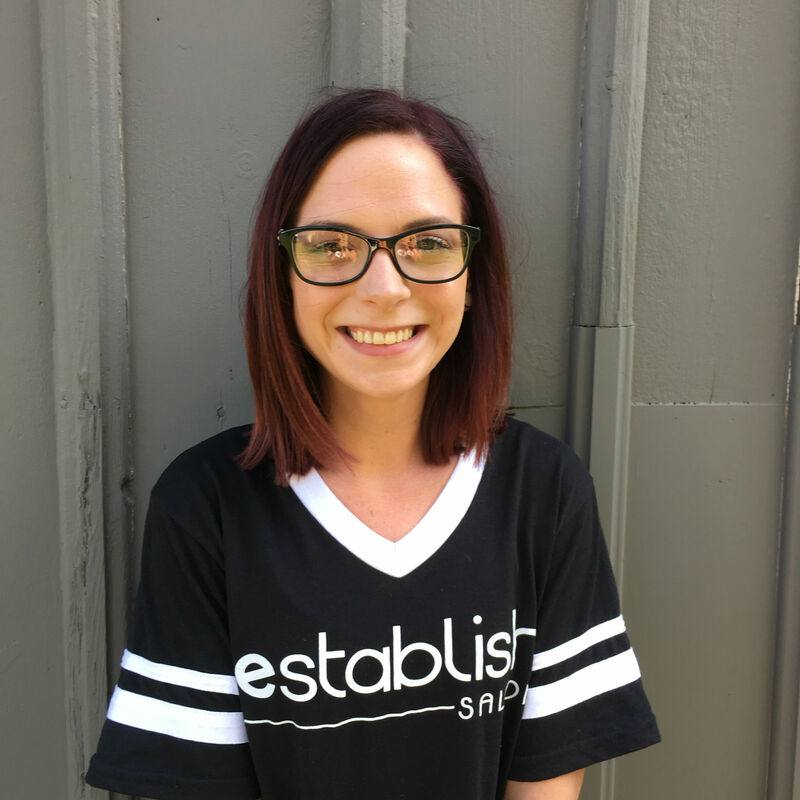 She has continued her education with advanced training in easihair pro hair extensions, men’s grooming with the 18.21 ManMade experience, and balayage hair painting techniques. Shannon has an extensive knowledge of product and processes and loves to share tips, tricks, tools, and products to help you achieve your everyday desired look. Shannon’s passion for people and her profession will make you feel like you’ve known each other for ages. Janey graduated from the Aveda Institute in 2014. She has since continued her education with training in men’s grooming, with the 18.21 ManMade experience, and Aveda balayage and hair painting techniques. She is mindful of the overall look and uses thoughtful foil placements and color to complement your everyday lifestyle. She enjoys getting to know her clients and providing a fun experience for you and the entire family. Janey is easy-going, down-to-earth, and her funny tendencies make an unforgettable experience. Nadia graduated from the Minnesota School of Cosmetology in 2015. She has also expanded her education by completing advanced color training and product knowledge from the Aveda Institute. She enjoys creating customized color to take your look to the next level. She has a natural eye for tasteful and stylish special occasion and wedding day looks. As our salon hair donation Ambassador, Nadia is your go-to stylist for when you make that brave and generous decision to donate your hair. Nadia’s sweet, calm, and conscientious manner creates a relaxing experience. Haley graduated from the Cosmetology program at Century College in 2014. After graduating, Haley found a passion for the Aveda mission and continued her education with advanced training in Aveda hair color and application techniques, including color melting, balayage, and hair painting, as well as Aveda makeup and product knowledge. Working in the field, Haley developed an interest in bridal makeup and mens cuts and keeps up with the trends and classics of the industry. She is confident working with all types of hair textures and loves creating bright, intense fashion colors with Aveda hair color. Haley also enjoys educating her clients on what products to use to create a daily styling routine that works for their lifestyle. Kaitlyn graduated from the Aveda Institute – Minneapolis in 2016. She fell in love with color and helping each one of her clients express themselves through balayage, color-melt, and foil techniques. She stays up-to-date on current trends in the industry and her attention to detail and product knowledge will translate to your daily beauty routine. Kaitlyn is down-to-earth, the best listener, and she looks forward to helping you establish your look.